The Canadian Conference on Physician Leadership is the answer, and the theme — Leading together: achieving results — says it all (http://www.physicianleadershipconference.com/). Physicians just stepping into leadership roles as well as those who are already chiefs of staff, vice-presidents, committee chairs, and regional leads will all find help at this annual event. Inspiring speakers, informative interactive workshops, accredited leadership courses, networking opportunities, and celebrations provide multiple opportunities for learning — from experienced presenters, many of whom are physicians, and from colleagues from across Canada. The conference will be in Toronto this year, May 13 and 14, at the Fairmont Royal York Hotel. This year's speakers include Barry Posner, co-author of the award-winning book, The Leadership Challenge. Posner, who is a professor at the Leavey School of Business , Santa Clara University, California, will be sharing his thoughts on "Becoming the best leader you can be." On day 2 of the conference, Anne Snowdon of the International Centre for Health Innovation will provide a view of "Global trends in health system innovation," inspiring participants to strengthen our health system. Four workshop sessions allow participants to choose a variety of skills-based or informational sessions. Learn how to negotiate and persuade, survive in the midst of change, discover both the "coach approach" to leadership and the medical dyad model, find the "courage to lead" and boost organizational performance. Workshops cover the "changing landscape in a value-based health system," the role of digital health, learning from medical-legal cases, and how women can "level the playing field." Participants can even learn to "tweet like a leader" and communicate like a pro. Some workshops are limited to senior physician leaders, others are aimed at those new to leadership. The conference workshops offer something for every physician exploring this path to service in the health system. Participants dedicated to a career in leadership can take advantage of courses offered before the conference, on May 11 and 12. High-profile presenters, like Janice Stein and Graham Dickson, will be delving into such topics as influencing boards, physician engagement, self-awareness, disruptive behaviour, and "Crucial Conversations." These intense 2-day courses can lead to accreditation as a Canadian Certified Physician Executive (CCPE), a designation offered jointly by the Canadian Society of Physician Leaders and the Canadian Medical Association. This year's successful candidates for the CCPE will be honoured at a ceremony on day 1 of the conference. A lively debate is expected on Friday, May 13, as it is resolved that "politicians are an obstacle to real health care reform." Panelists include Jeff Braithwaite, Australian Institute of Health Innovation (who is also a keynote speaker); Chris Eagle, former CEO of Alberta Health Services, Gillian Kernaghan, president and CEO at St. Joseph's Healthcare, and Anne Snowdon. With a physician as Canada's current health minister and negotiations on a new health accord in the offing, this debate promises to be riveting. Join us for the important event. Become part of Canada's changing health care system and help make it the best in the world. Goodall AH, Bastiampillai T, Nance M, Roeger L, Allison S. Expert leadership: doctors versus managers for the executive leadership of Australian mental health. Aust N Z J Psychiatry 2015;49(5):409-11. Van Aerde J. Understanding physician leadership in Canada. Can J Physician Leadership 2015;1(4):30-4. 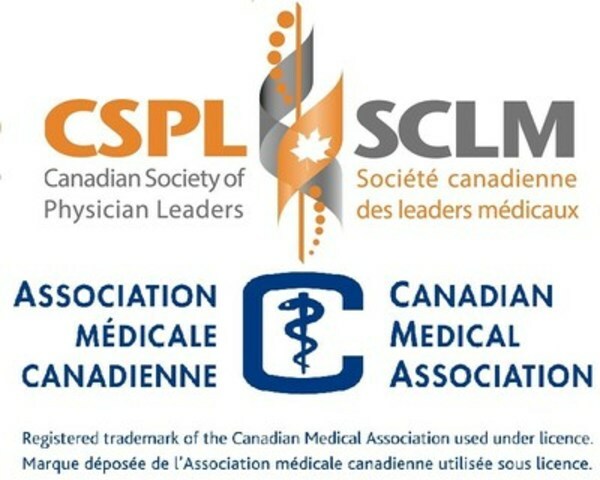 The Canadian Society of Physician Leaders (CSPL) provides a support and development network for the growing cadre of Canadian physician leaders. It seeks out opportunities and partnerships to increase members' exposure to quality professional development programs.